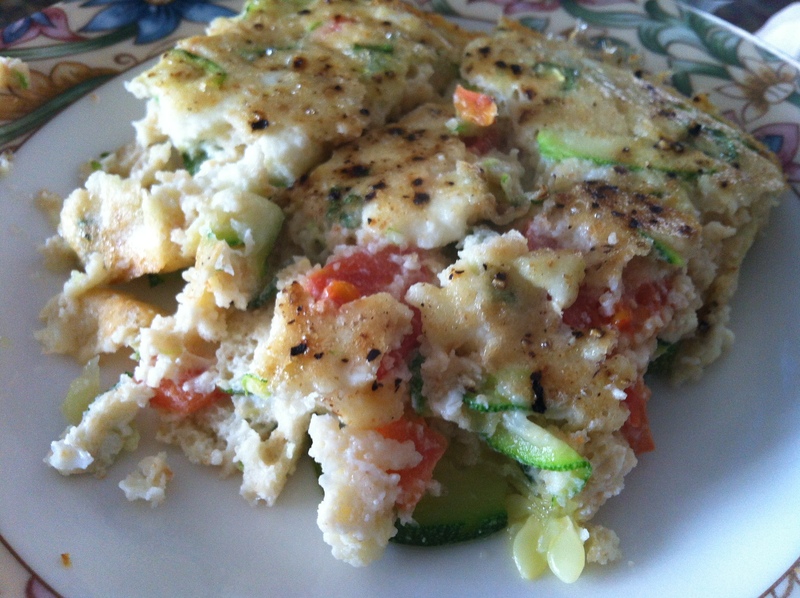 I love a great frittata and had this idea for a low-fat egg white frittata that tastes great. I decided to make enough for leftovers and used them in quick breakfast burritos and sandwiches on the go. 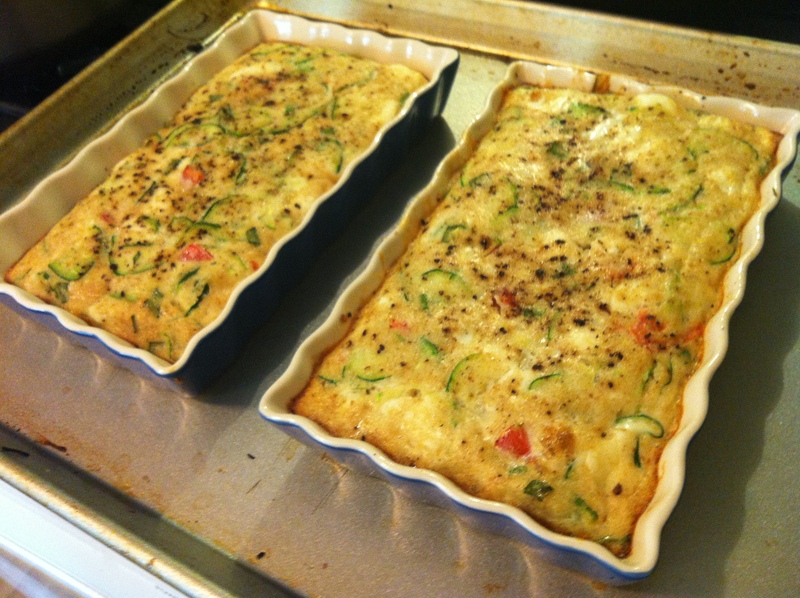 2 medium zucchini, one sliced into thin circles, the other grated. 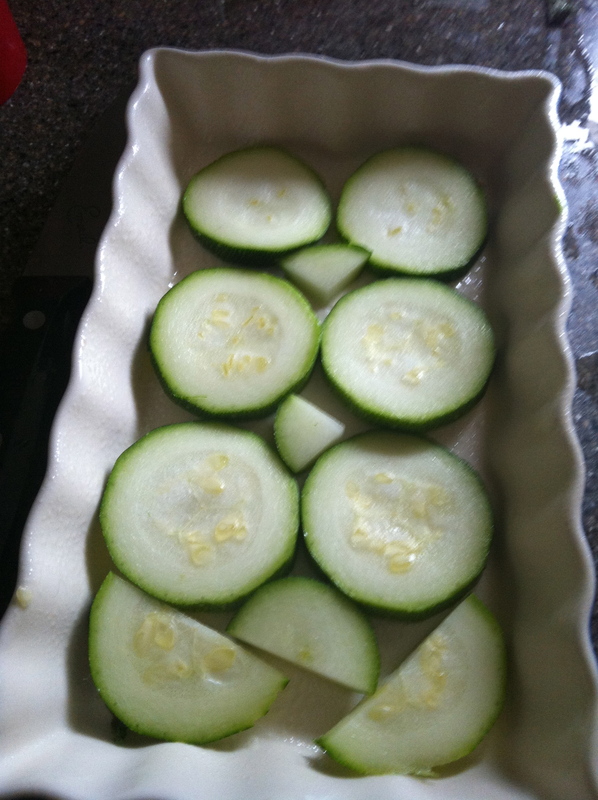 On the bottom of the baking dish, I layered a thin layer of zucchini. I did not pre-cook the zucchini this time. 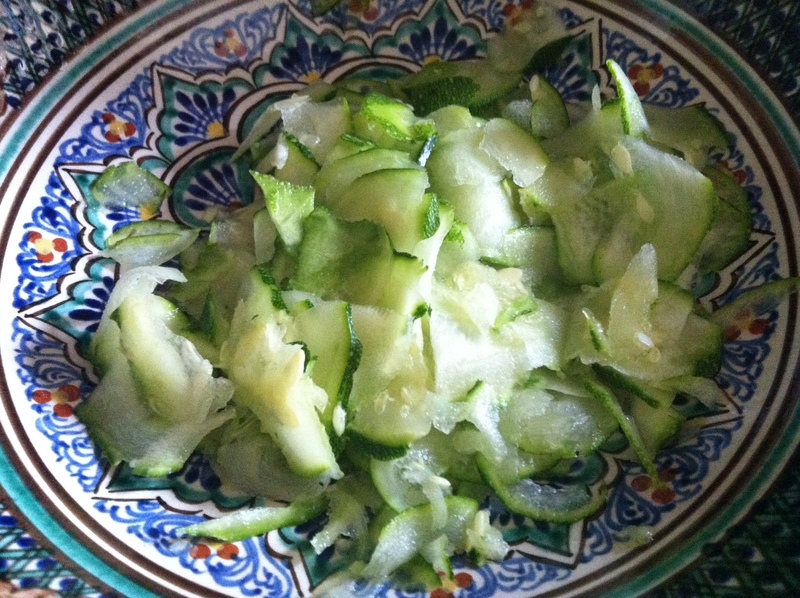 I grated the other zucchini in a medium sized bowl. Added the chopped onion, roma tomato, olive oil, cheese and egg whites. 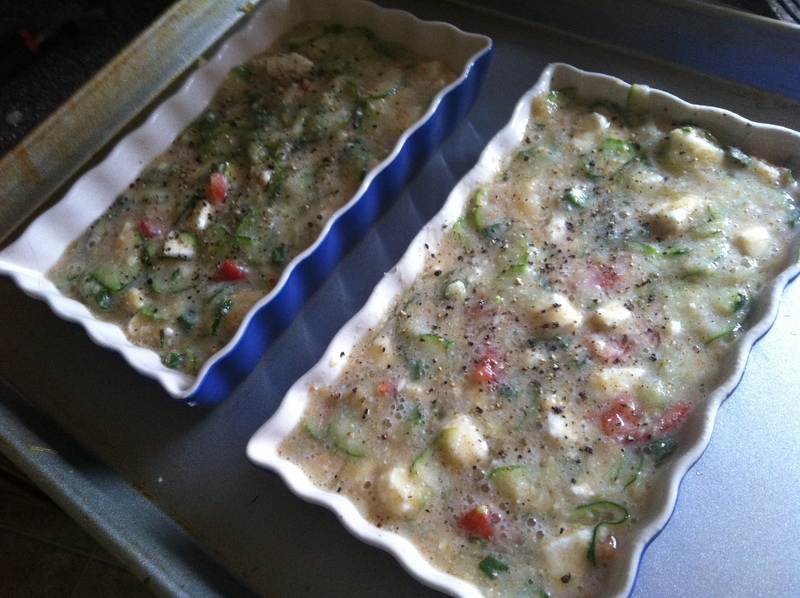 Pour ingredients into baking dishes and bake in oven for 30-35 minutes until the eggs are set. This looks delicious. Nice and healthy too!